As featured in DisfunkshionMag on Instagram White and Blue Otomi Dress. 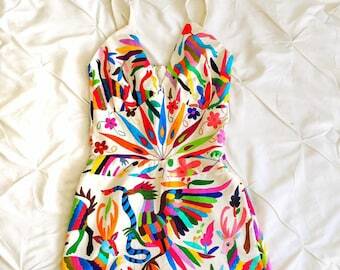 Hand embroidered otomi dress. 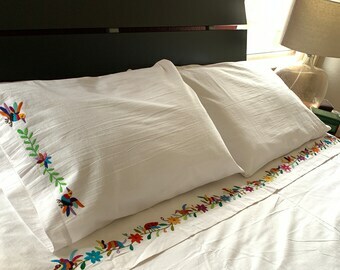 Cobalt Blue Otomi FRIDA KHALO "AGAVE"
Hand Embroidered Otomi Bed Sheets Set "Animalitos"
Best products from mexico! better than any other place.